What is irritable bowel syndrome? It’s a word used loosely to explain many digestive complaints, but is it actually a medical condition with key medically diagnosable features? I’m not so sure. For me, in clinical practice, too often I see this term used to explain a whole range of digestive symptoms without any understanding of the potential drivers behind the IBS diagnosis. Yes, the bowel might be “irritated” as the term states, but what drives this irritation? There are many potential drivers of Irritable Bowel Syndrome… careful examination and prudent testing can elicit data that allows us to successfully understand and treat IBS. Below you will see my top drivers of Irritable Bowel Syndrome and what you can do about it to re- gain control of your digestive health. FODMAP describes a condition characterised by the impaired intestinal absorption of dietary sugars. This can include fructose found in fruit and vegetables, lactose found in dairy and sorbitol found in a range of fruits and vegetables. The symptoms are very similar to Irritable Bowel Syndrome with pain, bloating, gas and altered bowel function. 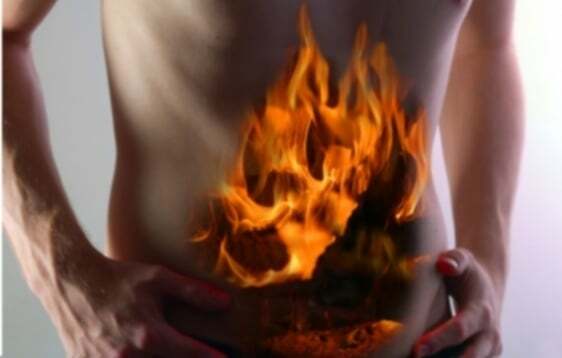 A simple hydrogen and methane breath test in our Melbourne practice will show if this condition is driving your Irritable Bowel Syndrome, making diagnosis and follow-up treatment of your IBS symptoms simple. You may also note your symptoms being aggravated by fruit intake and sometimes onions and legumes, however at times it can be difficult to relate symptoms to certain foods. This condition is highly relevant at the moment. In fact, more than half of the people I see in my clinic with digestive symptoms have FODMAP issues. Come in and visit my Melbourne clinic to see if FODMAP issues are the cause of your IBS symptoms. In certain individuals, bacteria can migrate from the large intestine up into the small intestine where they are not supposed to be. Dietary sugar and starch are then fermented by these bacteria causing an irritable bowel. Again, a simple hydrogen and methane breath test in our Melbourne clinic will show if this condition is driving your digestive complaints. This simple SIBO test is a quick way to identify the underlying cause of your IBS symptoms and will allow us to start SIBO treatment. 70 % of our immune system is located around the intestines, so it makes sense that people can develop immune responses to certain foods, especially if the intestinal lining has been damaged in some way by things like excessive alcohol consumption, poor diet, antibiotics, parasites etc. Certain molecules found in food can react in the gut lining causing a range of irritable bowel symptoms. Common sensitivities include eggs, dairy and gluten. A simple IgG food sensitivity panel will show if this is the cause of your digestive symptoms. Changes in gut ecology can have a profound effect on not only the digestive system, but health in general. Yeast infections due to a diet high in sugar and overuse of antibiotics will cause a range of digestive symptoms as will parasites and bacterial infections. I recommend a CDSA (Comprehensive Digestive Stool Analysis) for this, especially if there has been a history of overseas travel or a high level of antibiotic use. Ever wondered why you get bloated and uncomfortable after consuming alcohol, especially beer and red wine?.. or processed meats? It may be that you have trouble breaking down the histamine content in these foods. In a healthy digestive tract, histamine can be broken down into harmless byproducts, but for some, this does not occur and thus histamine accumulates in the digestive system. The result is an increase in gas, bloating and altered bowel function. An increase in Histamine can also influence distant tissues as it enters the blood stream like the skin, lungs and sinus resulting in allergies. There is no accurate test available to assess Histamine, however a careful case history should allow an accurate diagnosis.. Histamine is primarily found in old, fermented or microbial ripened produce like cheese, processed meat, alcohol and can also bee found in spinach, tomato, strawberries, citrus and banana.. Stress is a known trigger of digestive complaints. We know that the brain communicates with the digestive tract. We often note that when we are under acute stress, the digestive system can become overactive. While a careful case history taking should show this correlation, a saliva hormone tests will show if your stress hormone cortisol is impacting on your health. If you’d like more information or to make an appointment to take a giant leap towards successful treatments for your irritable bowel syndrome and you’re in Melbourne, call 03 9885 7766 now.